Mur-Man turned two just over a month ago and we celebrated (Check out his party here). 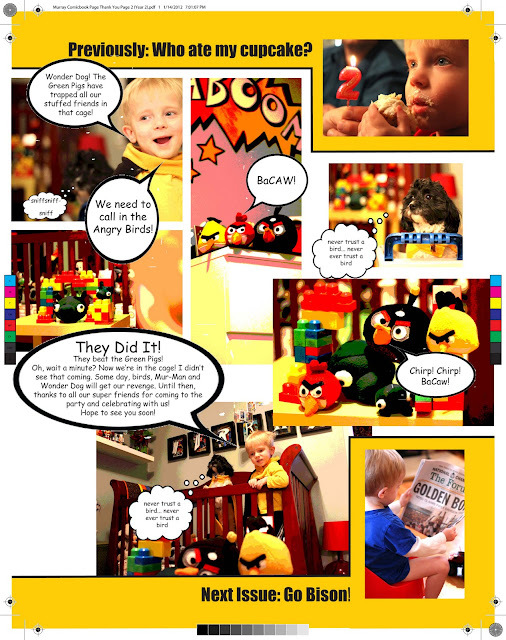 And we also created comic book page number 2. 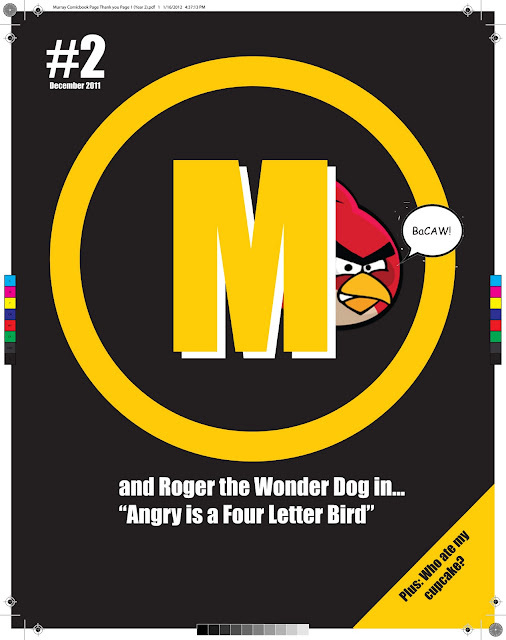 You see…Mur-Man has a super hero themed room and so for his first birthday party—Steve created Mur-Man and the wonder-dog (Roger) comic book page.